Tell us about your role at Dimelo, a RingCentral Company, and the team and technology you handle. I am Head of Marketing for Dimelo, a RingCentral Company. I lead the marketing efforts for Europe, Asia, Middle-East and Africa for RingCentral Engage, an omni-digital customer engagement platform allowing companies to easily engage with their customers on multiple digital channels. My team is handling every aspect of marketing, from product positioning, branding and communication, to content, lead generation and events management. How important is a digital messaging platform for businesses in 2019? An omni-digital platform dedicated to customer engagement is an absolute must in 2019. We all use messaging and social channels to interact with our peers, friends, colleagues and family. WhatsApp, iMessage, Facebook, Twitter and Instagram are all part of our daily lives and often the first thing we check when waking up and the last one before sleeping. If consumers use these channels daily it is because there are convenient and adapted to their omni-digital lifestyle. For this simple reason, companies have to adapt and allow their customers to contact them through the channels they favor the most. Consumers no longer accept ticking boxes and filling in the blanks that have been left behind for them during work hours. Instead, customers want to be able to contact companies in their own time and via the channels that suit them best. But for companies, it isn’t always easy to suddenly be available on new digital channels. It requires a certain type of digital transformation, a change in terms of organization, customer-centric culture and, obviously, tools to manage these new channels efficiently so they can meet customer requirements. An omni-digital customer engagement platform is the right solution to make it possible: It allows companies to be available on multiple digital channels without having to create and train new teams of agents. Most of all, it allows them to offer a consistent customer experience across channels, which is key to customer satisfaction and loyalty. How does your product and technology close the gap between online and offline conversations with customers? In the offline world, we have a single identity. In the digital world, however, we have multiple identities. One could be john.doe@gmail.com through email, @johnDoe on Twitter and something completely different on Facebook or WhatsApp. Merging the virtual identity with the physical one is essential since it benefits both the customer and the agent. On the customer side, it means not having to identify yourself each and every time you contact a brand, explaining your problem over and over again, along with any prior conversations. On the agent’s side, it means saving time by not needing to ask low-value questions and focusing on solving the customer issue quickly and smoothly. RingCentral Engage closes this gap by merging these identities and eventually linking them to a CRM entry so companies can benefit from a full 360° view of the conversational and transactional customer profiles. Using this technology allows customer care representatives to have a vision of all past interactions across channels and improve customer satisfaction. Where do you see the Cloud Contact Center industry heading to in 2020-2025? Cloud solutions are rapidly replacing legacy ones for obvious reasons: they are faster to deploy, easier and cheaper to maintain, they offer more accessibility and convenience and evolve with new technologies. Since consumers habits are getting more and more digital, contact center solutions need to adapt as well and connect to these new cloud-based channels. At the same time, the need for seamless internal and external communications pushes the Cloud Contact Center industry to integrate more and more with the Unified Communication industry. Collaborative communication, both internal and external to the organization, is becoming key and will be one of the major elements in the near future. Creating a smooth communication journey across all stakeholders is what the industry is moving towards. How does your Marketing and Product Innovation team prepare for the onslaught of personalization and customer experience standards? We are all consumers before being professionals. We all face situations where the customer service is not up to our expectations. These experiences, as well as our clients’ feedback, make us more aware of what is required to satisfy customers today. Our team is always on the lookout for customer care innovations and we adopt a future-proof approach to help our clients adopt the latest channels and technologies. To answer the challenge of personalization, the 360° view mentioned previously is essential. By accessing the full information about customers (past conversations, past purchases, preferences, etc…), companies can offer a more relevant experience and anticipate customers’ needs. How do AI and Machine Learning fit into your product stack? AI and Machine Learning are essential pieces of the whole digital offering. It isn’t just a hype. These new technologies allow things that simply couldn’t be done by a human being. When talking about AI, people immediately think about chatbots and fear for their jobs. But AI is so much more than that! Yes, it does allow for chatbots to be implemented, which, in turns, makes companies available 24/7 and reduces the overall volume of messages that need to be managed. As a matter of fact, it can improve the customer experience as well as the agent experience, taking care of redundant tasks without much-added value to let the agent focus on more pressing matters. But AI and machine learning shouldn’t be reduced to chatbots. At RingCentral Engage, we use AI and Machine Learning to automate message allocation. With this technology, we analyze the content and context of each message coming from any digital channel and automatically assign it to the most competent customer service representative. It allows us to take into consideration the purpose of the message as well as the profile of the person asking the question and his/her profile within the company’s CRM. Similarly, AI allows us to filter out the noise and only focus on relevant messages, giving priority to those that have the strongest impact for the company. Filtering, organizing and allocating messages without Machine Learning would be slow and cumbersome: with its proprietary technology, RingCentral Engage automates it all and keeps improving over time. Tell us more about your Content Marketing strategy focused on B2B customers. What events and conferences do you keenly follow for technology trends? We work with multiple enterprises all over the world, mostly in the Telco, bank, insurance and utility industries. We usually talk to CXOs, customer experience experts and people within marketing who look after the brand image and the digital transformation that goes with it. These people are constantly looking for an angle to differentiate their product from competitors and are keen to learn about new customer habits and digital trends. My team produces a lot of high-quality content focusing on how to get started with an omni-digital strategy and how to delight customers in 2019. Part of this content is virtual, but an important piece of it happens at events too. We participate in events across Europe, Asia, Africa and North America to keep up with these new trends while spreading our own message. Julien has more than 10 years’ international experience in Marketing and Customer Care positions across multiple industries including toys, medical, hospitality, F&B, logistics, electronics, etc. 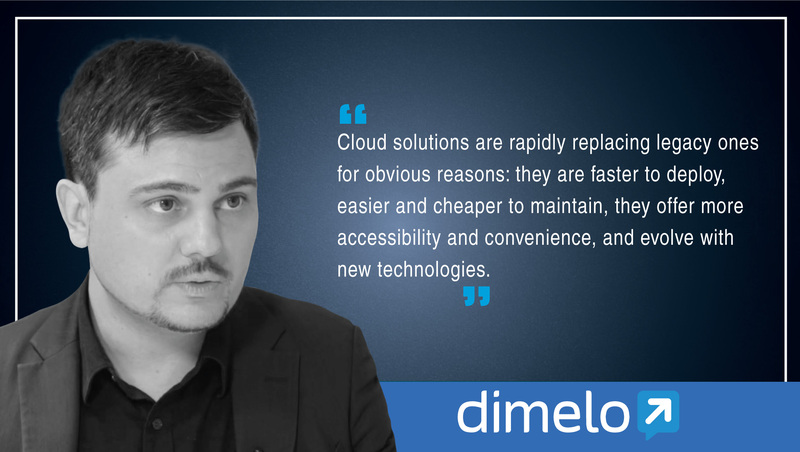 As Head of Marketing of Dimelo, Julien strives to improve customer care worldwide and close the gap between what companies have to offer and what customers expect. Author and blogger, Julien regularly writes about on experience and marketing.